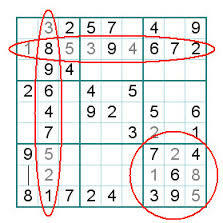 Learn more about sudoku! Click here and read our blog! 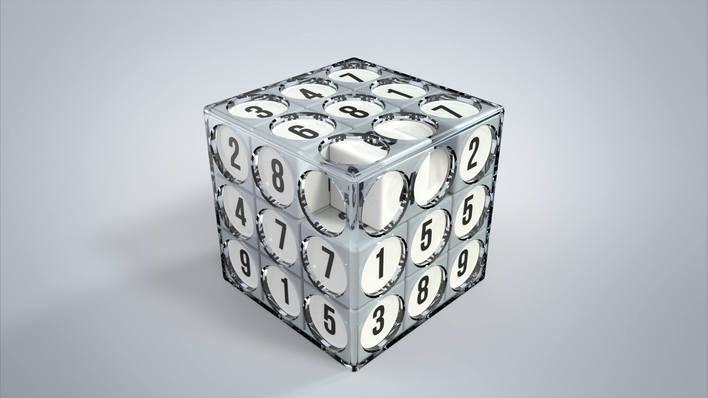 The aim of the game is to place each number only once vertically, horizontally and on each side of the sudoku-cube. 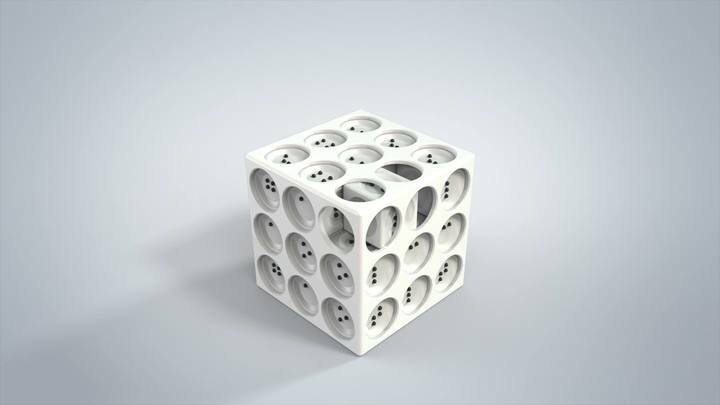 The next appropriate small cube can be deduced logically. Improves memory, space vision and logical thinking. 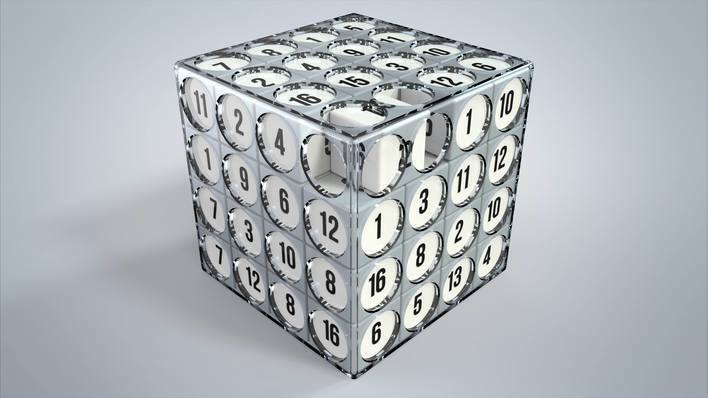 With one dimension more than a traditional crossword. Small cubes can be moved on each other. Thanks to its small size, it can fit into your bag. The game is an integral part of life, so anyone can play with it regardless of age. A classic, traditional game, no need for internet. 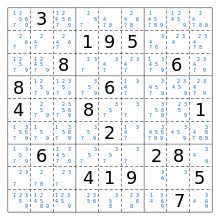 Blind and visually impaired people can choose Braille versions. There are many different variations available in size, design, difficulty level. Each sudoku-cube is a stand-alone game, but the different versions also form a system based on each other. A single 3x3x3 sudoku-cube has 216 different correct solutions. You can play with it while traveling, at home before sleep or during school holidays. Continue where you left off in the morning, noon, evening. For boys, for girls, for kids, for adults. Learn more about thesudokucube! Click here and read more on our blog! The numbered version can be LEVEL 3 or LEVEL 4 depending on the number of the game. The color version helps you understand the logic of the sudoku cube. The first element of the gamification system. The numbered versions completed with colors will be made the game faster and easier to understand. The smallest version, but harder to unload than it looks at first. 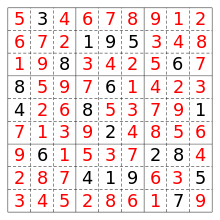 In the case of 4x4x4, all the six sides of the sudoku cube are numbered, but the game's logic is the same. 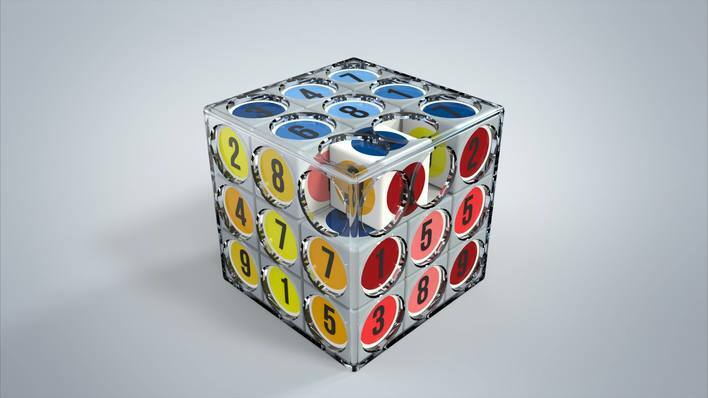 For blinds and visually impaired people there are developed some sudoku cube with a variety of design and levels of difficulty. 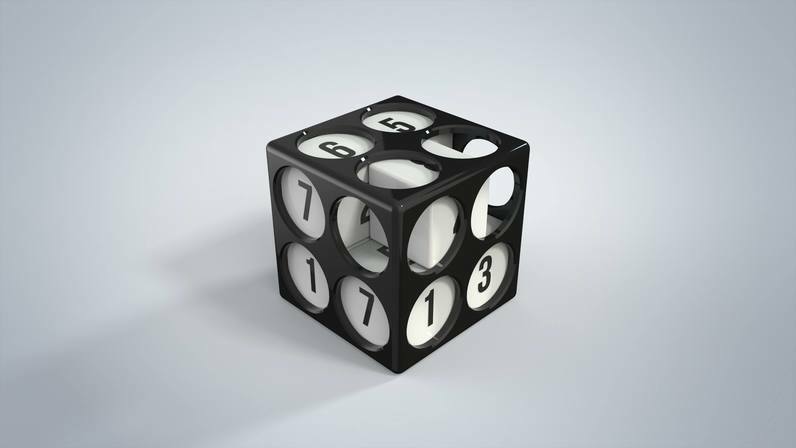 Learn more about the rules of thesudokucube! Click here and learn how to play with it from our blog! "I was lucky enough to try it out on an Innovation Exhibition and I really liked it. It was a good feeling that although only one side, but I was able to put it first. I'd love to play with my own." "I see this first for the first time now, and I think it's a very good game that I would like to play with during travelling on the train or while waiting." "It's cool and even better than the traditional paper-based version." 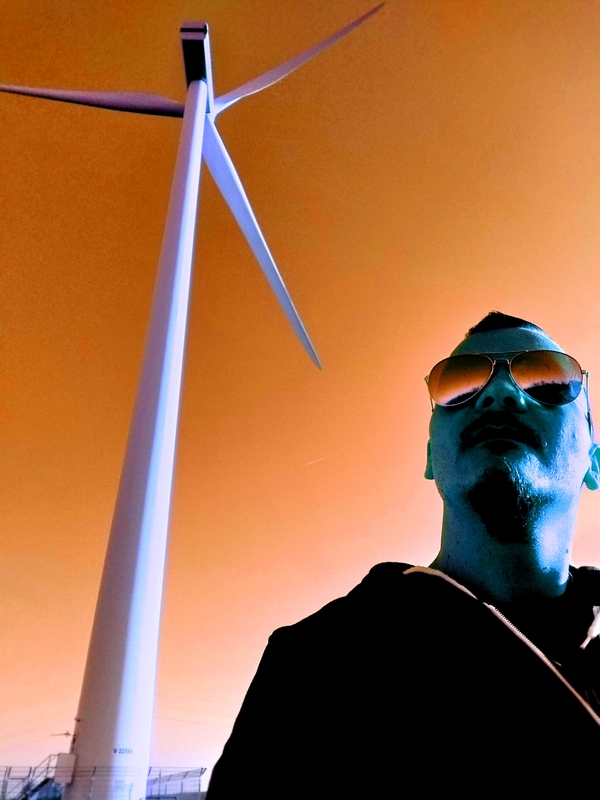 "Modern, can be reused many times, anywhere and anytime I can continue where I last stopped." "How come that this was not invented before?!" "I first played sodoku 1 or 2 years ago and since that I often challenge myself with that. I’m curious about this version, I like the idea. If it is available I would definitely want one." "It seems like something I'd like to spend time with during a boring lecture at school or on the train." "The 3D version is good idea! I really like it." "At first glance, I would say that it's probably a good thing to challenge the mind with." "Innovative, I would like to try it and talk to the people who invented it." I am PETER BAGI, the inventor of su3Doku, thesudokucube. The story of thesudokucube began 10 years ago, in 2008. We spoke about old toys. I remembered a tili-toli puzzle sergeant Pityke on it. It was one of the best logic games in the '90s. Of its many variants I can recall this very one, which had a policeman and a dog on. Then I imagined how "sergeant Pityke" would have been in "hedgehog" with others. Can you imagine? ... the "tili-toli" puzzle in 3 dimensions. In "hedgehog". Those days I often spent time in front of the computer playing sudoku online I'm not a pro, but I like it because it make me think. In the simplest version you only need to figure out which number is missing. In a more complicated version you have to think ahead a few steps. There are millions of versions, but there is always only one solution. ... but I imagined it. Know us and our stories! Click here and read more about us on our blog! 2014. február 26-án Eötvös Loránd Tudományegyetem lágymányosi kampuszán került megrendezésre tagszervezetünk, az ELTE, szakmai és tudományos programok és előadások sorozatából álló egész napos rendezvénye. Magyar Innovációs Szövetség, www.innovacio.hu, 2014.márc.11. 2014. február 26-án nyolcadik alkalommal tartott egész napos szakmai és tudományos rendezvényt a Gömbaulában az ELTE Pályázati és Innovációs Központja, amelyen átadták az ELTE Innovatív Kutatója díjat, és kihirdették a hallgatói innovációs pályázat eredményét is. 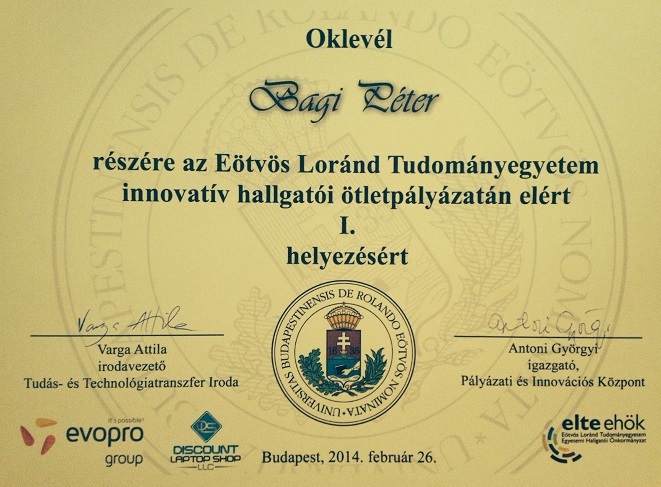 ELTE Pályázati és Innovációs Központja, www.elte.hu, 2014.febr.27. Be a part of the toy-story! Support the inventors! Buy always origin one!